Everyone loves getting mail, though these days it's probably more likely to be email than the real snail mail, and I'm no exception. Letters generally turn out to be bills but packages - now there's the thing. 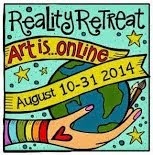 I know I should use the library but I just can't resist the real thing; which is ownership. My book! Or in my case, my several thousand books, which are bursting off my shelves, tottering in dangerous piles, and ensuring that I have no flat surfaces on which to work. So, in a tiny act of sharing, I'll show you one treasure that has come through the letter box in recent times. I think I first saw this book when Anna talked about it and I thought then that it looked highly desirable. And it is. 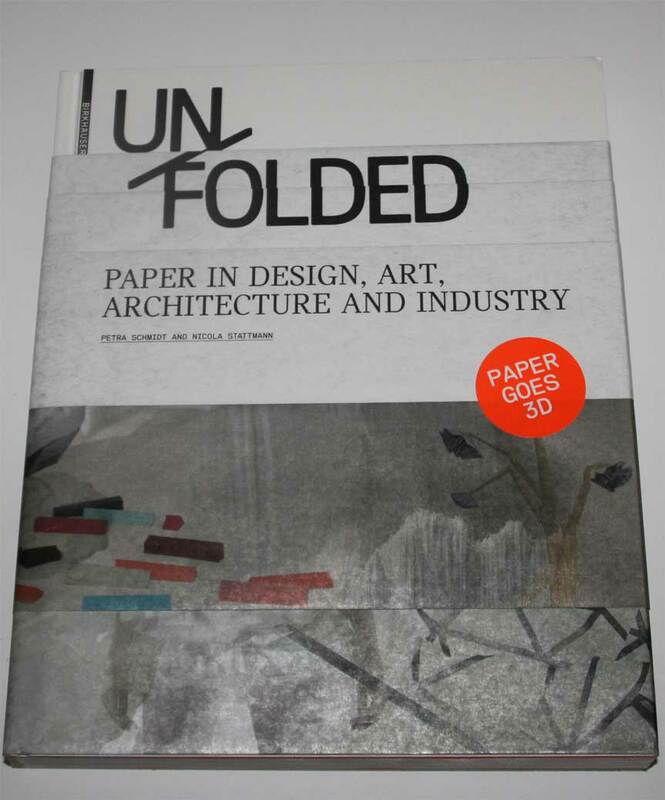 Unfolded : Paper in design, art, architecture and industry by Petra Schmidt and Nicola Stattmann, Birkhauser, Basel. I can't see a date but I think 2010. (I hope I'm just missing it - a book like this needs to be dated. Well, all books should be, but a book of modern design should definitely have a date.) ISBN978-3-0346-0032-3. 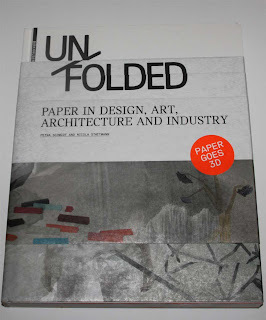 From the cover: "Unfolded" presents paper from a new perspective: as a high-tech material and substance for a new generation of engineers, designers, artists, and architects. For a traditional book binder or book artist, this book doesn't tell how to make a book. What it does, with lavish illustration, is inspire and inform on the amazing and wonderful things being done with paper and paper products. About a third of the book is devoted to Materials and technologies: Innovative paper and manufacturing processes for intelligent lightweight construction by Nicola Stattmann and Marieke Gast. An extremely interesting look at modern technologies. The cover of this book deserves a word or two. On the book the cover is folded several times, showing the title on the front, other information on the back, but removed and unfolded, the paper is the softly printed, very beautiful (I think A1) sheet depicted here. This is longer than I had expected so I'll save some books for next time. This looks like a beautiful book Carol and that cover is gorgeous! Thsnks for sharing it. Looking forward to seeing more of your purchases! 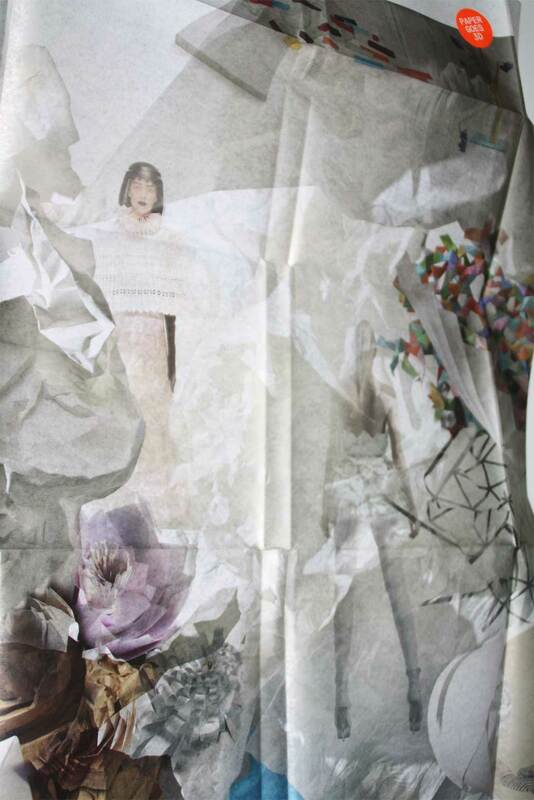 Amanda: The cover itself is a work of art. My purchases are getting the better of me, time I slowed down. Holly: I know that the more space I have the more books I'll try to cram into it, but I do love that 'booky' look. Abigail: I'm not much of a reviewer but this is a truly lovely book. Anna: Thanks for telling me about this book. It really does have a lot of fascinating information, and is beautiful too. Np wonder Anna loves it - that cover is not unlike some of her images! I think this book has to go on my wishlist!